Welcome to the IBA Tour Guide application, the easiest way for you to get all the crazy action from bodyboarding’s revamped world tour. 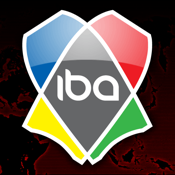 This app will deliver all the latest IBA videos, photos and news straight to your device, no matter where you are, and best of all it’s FREE! The IBA Tour Guide also provides you with info on the Top 24 bodyboarding stars, Grand Slam Series venue information, an event calendar to ensure you don’t miss a single event and the all-important leaderboard, so you’ll always know who’s on top. All this delivered straight to your pocket - crazy! In 2011, the IBA World Tour is taking bodyboarding to new levels at world-class wave locations around the globe. Sharing the amazing sport of bodyboarding with as much of the world as possible, in the waves that the sport thrives in. Longer waiting periods at heaving slabs like Fronton, Pipeline, The Box and Chile’s El Gringo. Shallow reef breaks and perfect peeling beachies with barrels and air bowls alike, to showcase the sport at its highest level. This app provides you with a ticket to this exciting bodyboarding spectacle.